When Suzanne first asked me about the research I did for my newly released non-fiction book, Overwhelmed Writer Rescue, and how it differed from the research I did for my novels, my first thought was, Oh it’s completely different. But then as I starting looking into it, I thought, Well, maybe not—there actually are a lot of similarities. In discovering those similarities, I’ve found that no matter what type of writing you’re doing, it’s important to ask one question. The answer will help you determine whether the research will benefit the writing or not. I’ve been researching non-fiction writing for over 20 years. I specialize in health writing. If you’re unfamiliar with what that is, just imagine me writing research papers all day long on things like heart disease, cancer, Alzheimer’s disease, diabetes, preventative care, alternative treatments, nutrition, and the like. Sounds about as fun as a root canal, right? Well, if you’re interested in what you’re researching, it can be fun, and much of the time, I am. Over the years, I’ve gradually expanded into personal growth, motivation, and creativity, which I particularly enjoy, and for which the research can be extremely intriguing. I’ve written fiction for about the same period of time, but for years, I didn’t research it at all. Looking back, I think I probably avoided it simply to get away from what to me was my “day job” as a freelance writer. Fiction was my time to play and indulge my creative muse—I certainly didn’t want to bring any dry research into it. When I started writing novels, though, that had to change, at least somewhat. My first novel was a fantasy, so I researched things that appealed to my imagination, like gargoyles, stone sculptures, and ancient myths and legends—all fun stuff that didn’t really seem like “research.” Instead, I was indulging my own sense of curiosity. Not exactly light reading, and this is one of the simpler ones. After a day of it, you’re ready to move onto something else. So “researching” my fiction has always been restricted to an “as needed” and “for fun” basis. I really didn’t think of it as a key component in my fiction writing—until the last couple years. On day 6 of the blog tour I’m featured over on Sacha Black’s blog, sharing my insight on writing a standalone novel vs a series. I’ve devised 12 questions all writers can ask themselves before embarking on the task. Please head over and let me know what you think. 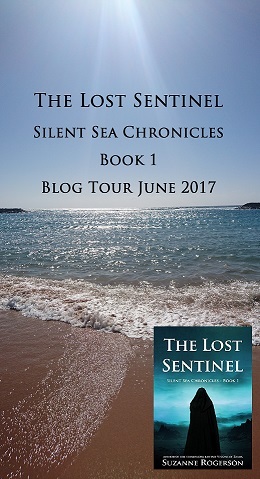 The Lost Sentinel blog tour will continue later with a book review from Another World Book Blog. See you then.